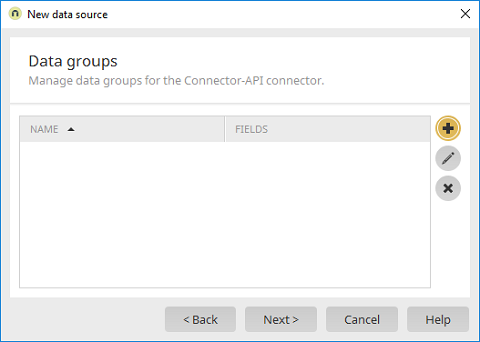 Integration module Consume data Connector for Connector API "Connector API" menu / New data source General information / Click on "Next"
The name of the defined data group is shown here. The names of the defined fields are shown here. Opens a dialog where data groups and fields can be added. Opens a dialog where the data group currently selected can be edited. Deletes the data group currently selected.